Autumn data during 2015 -2016 showed that there was a huge gender gap, where girls were outperforming boys in Literacy within the Nursery. 31% of more girls were working at the expected ages and stages of development (30-50 months) than boys. So what did we do about? 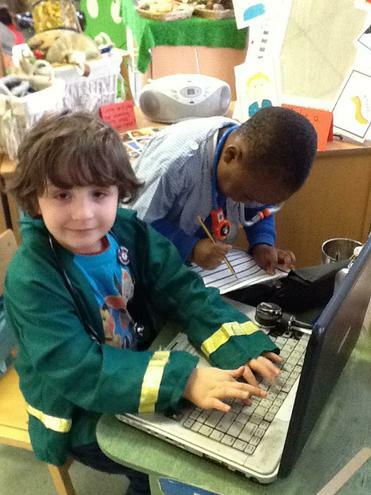 In January 2016, Nursery Teachers and Nursery Nurses looked at the ways boys can improve writing. 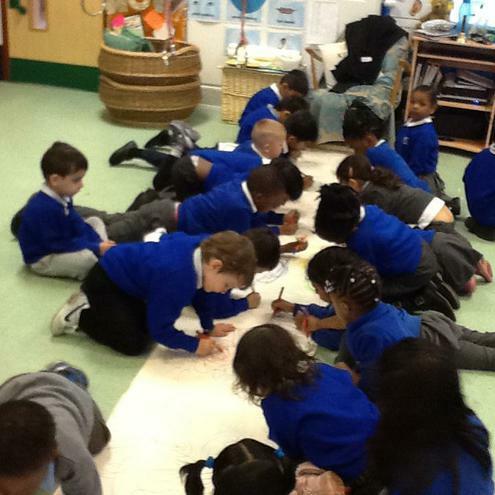 As a team we thought of the ways we can help and began by agreeing with our own judgements made on writing. 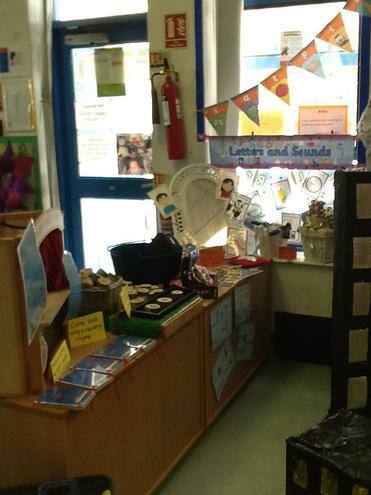 We created a writing samples board with examples of writing and agreed on assessments made of these. From then on staff referred to this every time assessments were made so that there was a consistency of judgements made. 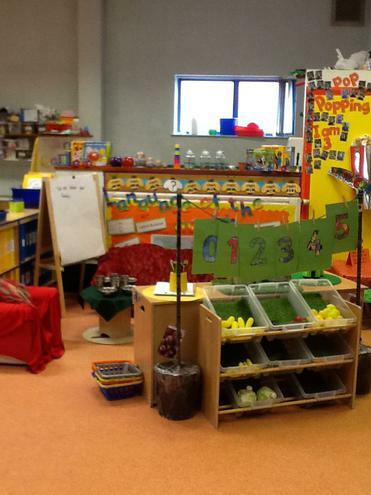 The learning environment plays a very important role in developing more writing opportunities within the Early Years. 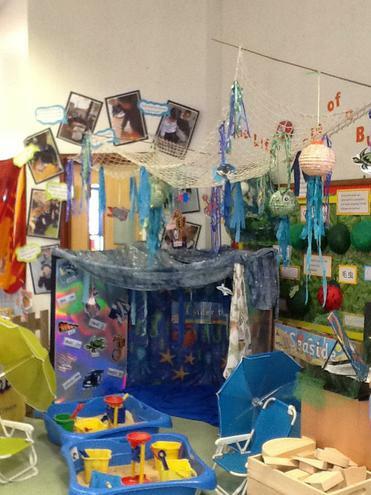 In Nursery we created more opportunities for boys and girls to write in purposeful and exciting contexts. 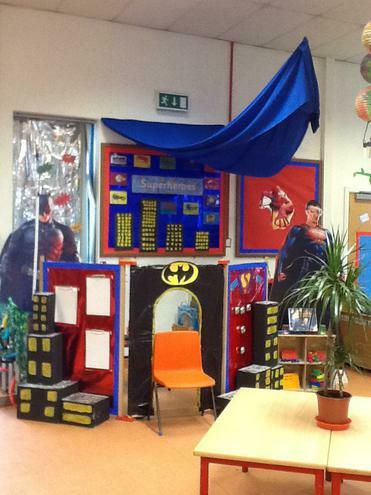 We set up provision that were based on boys interest and added writing opportunities in all areas of the classroom. As part of teaching writing we focused not only on shared writing but the physical development of gross and fine motor skills that aid writing. 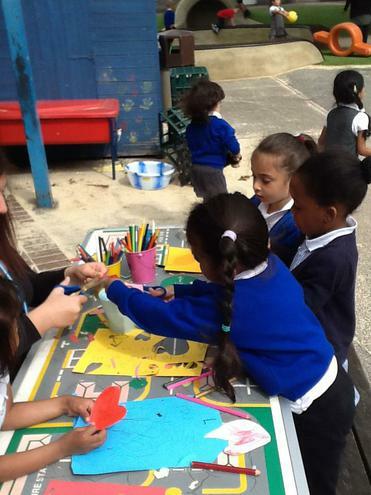 We value the involvement of parents in our children's learning. Research shows the importance and impact dads can have on children's learning. So here's how they helped. 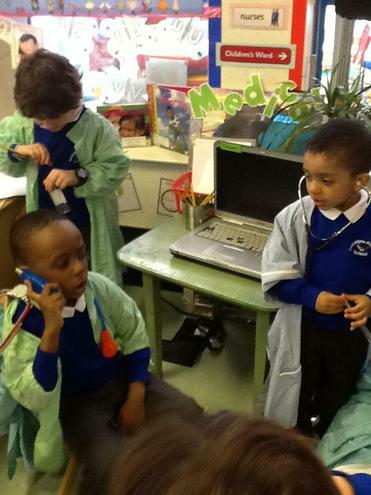 Dads came into school to work with Nursery children, particularly boys. 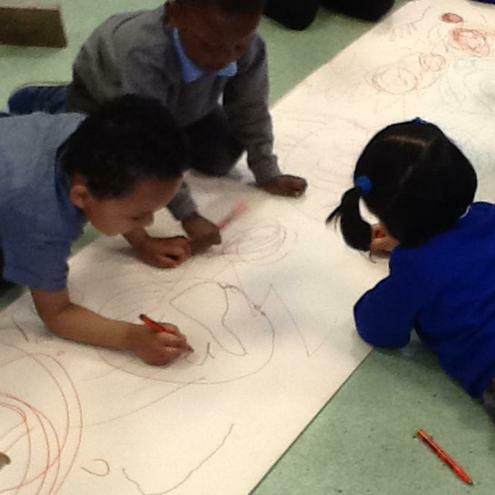 They all participated in sports like football, cricket and messy art activities to develop the physical skills needed for mark making. Some dads spent time reading books and telling stories in our Early Years library to help develop a love for books and stories. Other dads enjoyed making sand castles just as much as the children did! 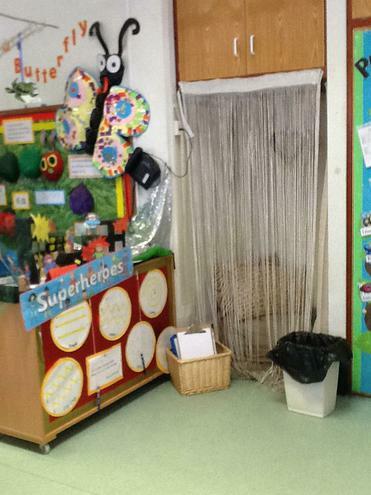 The children enjoyed the company of all dads involved and as for the child whose dad came into school.... Well, he was a hero and they felt proud to have such a dad! In Summer 2016, data analysis of our end of year nursery assessments showed that the gap between girls and boys has narrowed from 31% during Autumn to 1% in Summer. 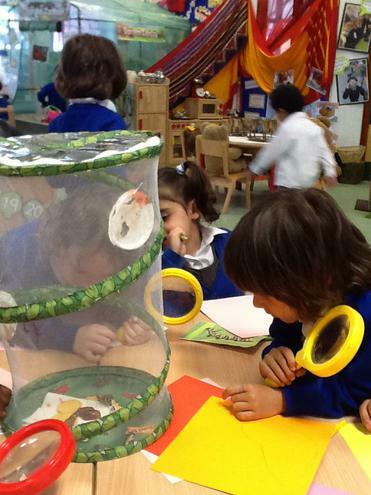 Over 60% of the boys as well as girls in Nursery were working within the expected ages and stages (40-60 months) of development in writing. 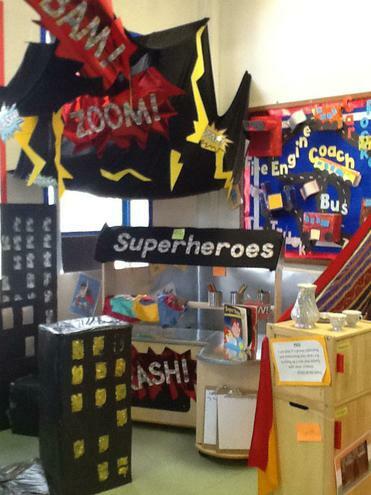 All ready and excited to continue their journey in Reception.